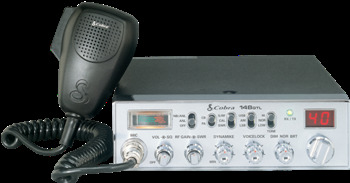 Cobra 148 GTL AM/Single Sideband CB Radio Cobra 148 GTL AM/Single Sideband CB Radio, Cobra 148 GTL CB Radio, Vehicle CB Radio, Car CB Radio, Truck CB Radio, SUV CB Radio, Automotive CB Radio [Cobra 148 GTL CB Radio] - $195.95 : 3rd Strike Performance, Your Source for Late Model MOPAR Performance Parts and Accessories! The Original 148 GTL is back... and better than ever! Professional driver-requested improvements include a front panel microphone connector for convenient in-dash installation, 9-foot microphone cord for easy reach anywhere within the cab, and tactile controls for added convenience and safety when adjusting functions.